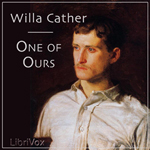 This 1923 Pulitzer Prize winning novel by Willa Cather was inspired by reading her cousin G.P. Cather’s wartime letters home to his mother. He was the first officer from Nebraska killed in World War I. Claude Wheeler, the subject of the novel, is a young man growing up on a Nebraska farm. The son of well to do parents, Claude is troubled by his apparent inability to find purpose with his life. Everything he does seems to turn out wrong, at least in his own mind. Although he is a skilled farmer, Claude believes his destiny lies elsewhere. While attending a church-affiliated college his parents have selected for him, he befriends a German family (the Ehrlichs) who open his eyes to other possibilities in life. When Claude’s father expands the Wheeler farming interests, Claude must leave college to return to his roots and operate the Wheeler farm. During this period, he marries a childhood friend, Enid, in what turns out to be a marriage of convenience rather than love. Enid tries to convert her new husband to her many other causes such as Prohibition in Nebraska. Eventually, Enid leaves Claude to care for her missionary sister who is ill in China, and Claude is somewhat relieved to see her go. During this period, Europe is ablaze with World War I. Claude and his mother fervently follow the events. Claude eventually enlists in the American Expeditionary Forces, becomes an officer, and travels to France to fight for the cause. Finally believing he has found purpose in his life, Claude revels in his new freedom and responsibilities. Despite an influenza epidemic and the continuing hardships of the battlefield, Claude has never felt as though he mattered more. His pursuit of vague notions of purpose and principle culminate in a ferocious front-line encounter with an overwhelming German onslaught.